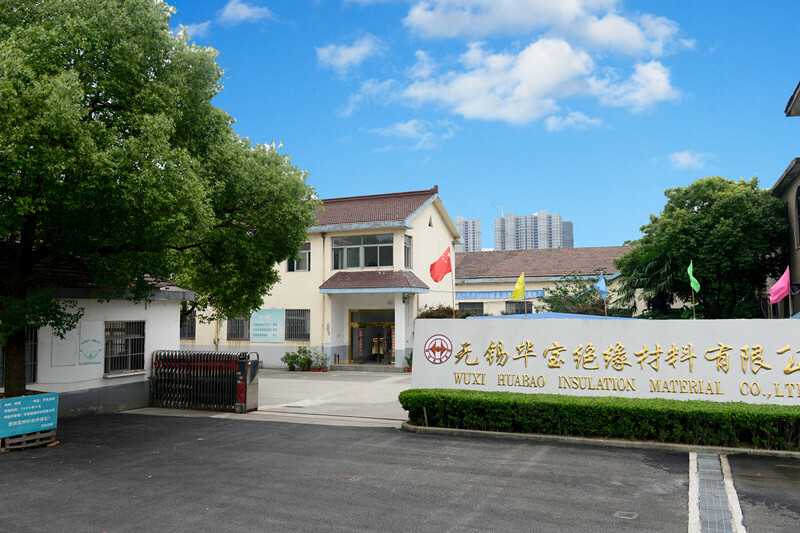 Wuxi Huabao Insulation Material Co.,Ltd is founded in 1993, which specialized in researching, producing, selling electrical insulation materials and after-sales service. In 2003, company became the National Standardization Technical Committee of insulation materials, and participate in drafting insulation materials. Huabao persist in â€œbecome the industry leader" for goals, "striving for excellence" for policy.It is in strict accordance with IECã€� GB / T and enterprise standards to produce, trying to reach perfect. Huabao passed the certification of ISO9001 Quality Management System and our products have UL approved in 2002, our annual output of class Eã€�Bã€�Fã€�Hã€�C composite insulation materialsã€�insulation formed partsã€�insulation structure partsã€�wraping tapeã€�adhesive tapeã€�fiberglass mesh and automatic winding materials has amounted to 1200tons. Our products are widely used in motor, dry transformer, inverter, capacitor, electric tools, electronics industry and so on. Some special products could be also customized by customer requirements. We are sincerely cooperate with you to creat a bright future and make contributions towards the quick development of electric industry.